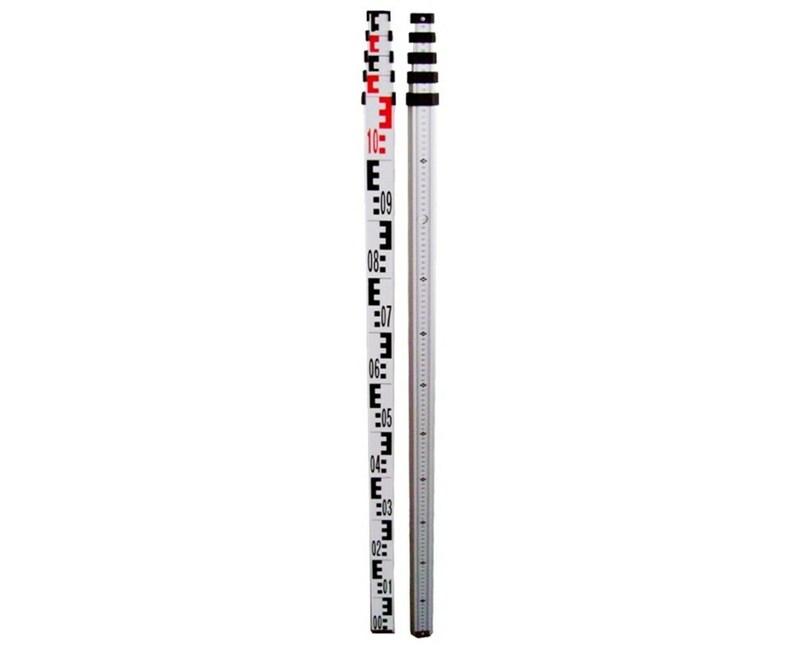 The Johnson Metric Aluminum Grade Rod is a functional and reliable measuring tool for all construction and surveying applications. Featuring a snap-on circular leveling vial, it can be easily leveled and aligned with great accuracy. It is equipped with graduations in centimeters and millimeters on front and E scale (decimeters) on its back. This metric grade rod by Johnson is highly durable with its aluminum construction and protective anodized finish. Its rectangular shape with rounded back allows easy grip while the adjustable sections collapse for convenient storage. When in use, it can extend to provide elevation of up to four meters or five meters. The Johnson Metric Aluminum Grade Rod is portable with the included nylon carrying bag with shoulder strap. It also comes with a three-year manufacturer’s warranty for long-lasting efficiency. 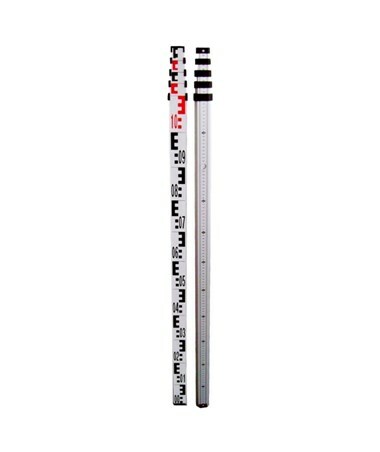 The Johnson Metric Aluminum Grade Rod comes in two different lengths to provide solution to most measuring needs. Please select your preference from the drop-down menu above.